c) there has been physical or mental cruelty, making it impossible to continue living together. (This may include acts of physical violence and those causing severe mental anguish). One of these grounds for divorce must be outlined in the court Application that commences the first step to obtaining a divorce Order. 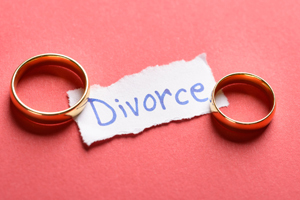 A divorce Application can take several months to finalize, however, the actual divorce will not be granted until the one-year period of separation has elapsed. As mentioned, a divorce is recognized when there has been a breakdown of marriage which occurs when the parties have been separated for at least one year or where the party filing the application proves that their spouse has committed cruelty or adultery. However, if none of these things have occurred but both you and your spouse mutually agree to terminate the marriage, it is an uncontested divorce and it is a much simpler process. For an uncontested divorce, you must file an Application for divorce with the court that is located in the municipality where either you or your spouse have lived for at least one year. The Application must be filed, served and registered together with a filing fee and a copy of the marriage certificate or marriage registration certificate, if available. Child support arrangements and any prior court orders or domestic contracts relating to support that have been obtained previously by either partner must also be filed. Finally, both partners must include a draft divorce Order that includes applicable documents in situations where child or spousal support is also being settled as apart of the uncontested divorce. Once all this documentation is in order, the court will issue a divorce Order to you and your spouse. The divorce Order officially takes effect on the 31st day after the date it was granted by the court. The team at Horra Family Law ensures our clients are protected and that they are aware of their rights and obligations. If you would like to speak with one of our lawyers regarding your family law matter, please contact us at (416) 840-1475 or schedule online your free initial consultation.